"We will not allow a bad deal. We will only arrive at a document that is ready to sign if it ... excludes Iran getting access to nuclear weapons." Mr. Steinmeier also said that Iran's expectations are "very ambitious" and though rigorously pursued by its negotiators nowhere near acceptable to the P5+1. Or one would hope so. The question of limits on research and development permitted Iran continue to plague the discussions. And then again the burning issue [for Iran] of the scope and timing of sanctions relief remained a sturdy sticking point. As far as the Obama administration seems concerned, any agreement that manages to lengthen the opportunity of time that Iran requires to produce a nuclear weapon from the current two to three months to at least a year will reflect timely progress. If so, the Americans are not investing too heavy an arsenal of demands by their own accounts. President Obama's critics, and they are legion, are concerned that any agreement that results for the framework leading up to the final June deadline completing the process appears to be headed in the direction of permitting Tehran to keep its nuclear technology in fairly intact condition. It will be allowed to continue research and development. And then there's the other issue of handing over for Russian safeguarding the vast stockpiles of enriched uranium which Iran now insists it had never, after all, agreed to; it was merely a misunderstanding. Iran is skilled at prevarication and misstatements and hesitations and promises that never see the light of practical reality. And sanctions; sanction relief is to be immediate in praise of good intentions and proof of good faith. Faith, that is, on the part of China, Russia, United States, France, Britain and Germany. The Islamic Republic of Iran has faith only in their brand of Islamist doctrine which urges the use of deception to attain a coveted end. And oh yes, of course, the irritating insistence that the International Atomic Energy Agency have unrestrained access to Iran's nuclear sites to ensure compliance with any completed agreement. Iran detests any intrusions, interference, inconvenient nosiness about its activities which are no one's business but its own. 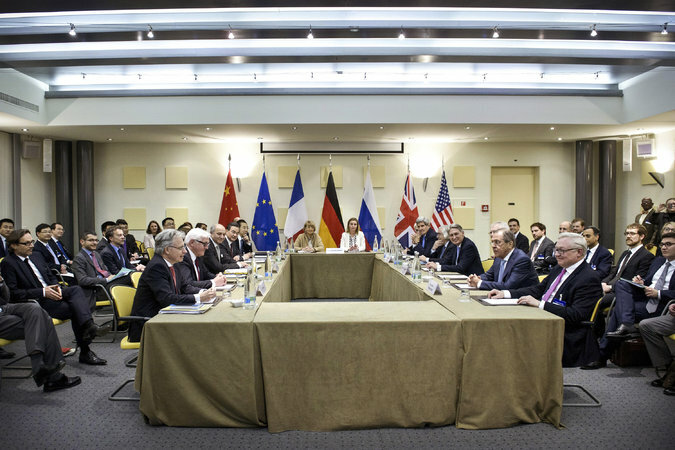 The sanctions which have bitten off a good chunk of Iran's economy are what brought it to the bargaining table. Remove them and see the nuclear-tipped ballistic missiles fly in record time. It's what has given Israel and Saudi Arabia screaming-awake nightmares as the canaries in the mine. "Lufthansa will continue to provide the investigating authorities with its full and unlimited support. [But would not provide additional comment on the matter] because we do not wish to anticipate the ongoing investigation by the Düsseldorf Public Prosecutor." "I would warn against making the crew into completely transparent people. That would just mean that someone would not go to a doctor." One never knows what one may find when one goes looking. But now Lufthansa knows of a certainty what can be discovered in a search of its records. Goodness gracious, an email tucked away that someone overlooked. Andreas Lubitz -- despite Lufthansa iterating and reiterating that it had no idea because it hadn't been informed by the co-pilot that he was suffering psychological health problems -- had, after all, informed the airlines of his condition. So despite his mental affliction somewhere deep down in his psyche he had an idea that someone with his problems might not be viewed as an ideal candidate to take charge of a cockpit in the opinion of those who do the hiring of airline pilots. He had wanted to rejoin Lufthansa's pilot training program after a hiatus of a month or so while having his mental state mentored by health professionals. Honourably enough, under those earlier circumstances, the young man had forwarded on to the flight training school the explanatory email inclusive of medical documents setting out a "previous episode of severe depression". So the damning question of whether Lufthansa and its economy Germanwings operation had knowledge of Mr. Lubitz's fragile mental equilibrium has been answered, finally. Which leaves the question that has been iterated and reiterated why would they entrust the lives of passengers to someone whose background indicated such a degree of mental instability? German investigating prosecutors indicated that Mr. Lubitz had in addition been treated for suicidal tendencies. No red flags, no warning light blipping into any flight authority's consciousness? Lufthansa's statement is not entirely forthcoming, having made no mention of when the depression had occurred, what treatment they knew of, or whether the airline had taken the responsive initiative to further investigate before declaring this candidate for flight captaincy 100% fit. After all, Lufthansa's chief executive, Carsten Sphor, himself a former pilot, declared that Mr. Lubitz, a fine young man with a burning ambition to fly, was "100 percent flightworthy without any limitations." Candidates for flight school, Mr. Spohr elaborated last week, were chosen not merely by demonstrating excellent technical ability, but also with an eye to their psychological fitness. And Lufthansa's screening process was second to none. Lufthansa's decision to readmit the young man to pilot training after a grave depressive bout now appears even more irresponsible and oblivious to passenger safety than ever, considering Mr. Spohr's statement regarding Lufthansa's screening to be state of the art "and we're proud of it". There are a lot of grieving families out there, and many of them are German families. Proud as they are of Germany's premier airline and its international reputation, they were prouder still of their family members. Sixteen high school students from a town north of Dusseldorf where the plane was scheduled to land with 150 aboard, safe and sound, were killed in that deliberate crash. About half of that 150 death toll were German citizens. Not only has Germany's reputation suffered as a result of many international passengers having met their death through seeming official disinterest in public safety, trumped by concern over one individual's right to achieve his aspirations against all logical indications otherwise, but German loss of life has also been wrenching. Lufthansa, in revealing its utter and quite inexplicable lack of due diligence in such a vital matter, must have resigned itself to the certain knowledge that it will pay for its unforgivable lapse in operational judgement. Whether in the fallacy of the greater public interest in upholding the 'human rights' of individuals whom biology has fated not to hold such power in their mentally fragile hands, or gambling that nothing untoward would ever occur because who in their right mind would effect such a disaster? Very few, in their right mind. Lawsuits by grieving family members hoping to assuage their grief by any means possible? Entirely likely. "Iran for the first time in a very long time is basically seeing a counterattack. The Iranians were not expecting that Gulf monarchies, like Saudi Arabia, would be so bold as to confront this head on." "[The Saudi-led airstrikes] tore to pieces their game plan with regard to the Houthis, and they are not going to accept that." 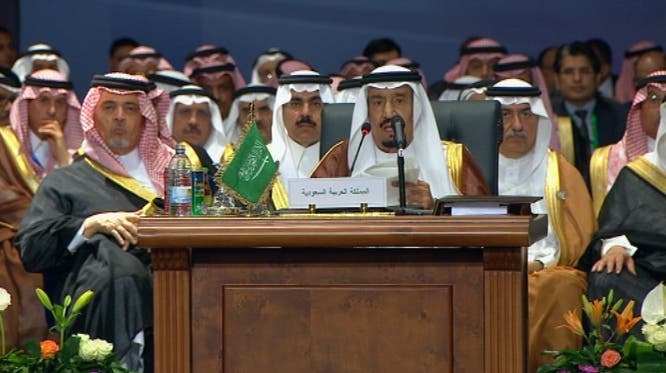 And, so it is that a two-day Arab summit ended with the agreement among the 22 member-states present that Iran has a second thought coming if it believes it can just continue to disrupt normalcy in Arab states. 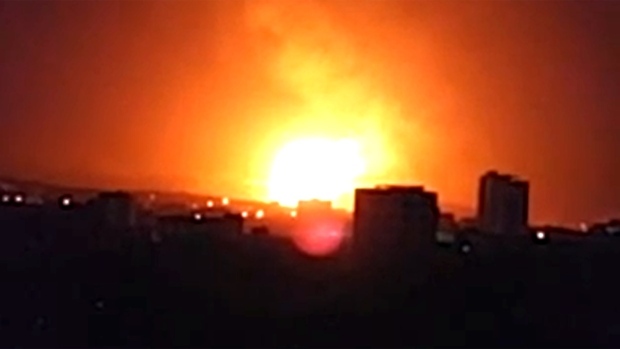 First Lebanon, then Syria, followed by Iraq, and now Yemen; Bahrain next on the agenda? The Arab League will not have it. With some exceptions, of course; neither Syria nor Iraq are expected to join their Arab brethren, preferring to cleave to non-Arab Shiite Muslim Iran. Otherwise the consensus is all for blacklisting Iran by bombing its latest proxy into a cowering corner of surrender. Arab unity is (almost) unanimous, no upstart Persian revolutionary zeal is acceptable on the way to a commanding lead in the Middle East and North Africa. Nabil Elaraby, Arab League chief labelled Iran for what it is, a troublemaker "in many nations". A joint Arab defence force is to be deployed at the request of any Arab nation that might face a threat to its national security. Loosely based, one supposes on NATO. They will have a multi-purpose agenda in preparation to combat terrorist groups. Which many of them have supported, but unfortunately those terrorist groups have a miserable penchant for turning on the very governments that had initially supported them. The Saudis and their Gulf allies feel rather concerned that an agreement between Washington and Tehran will make them even more vulnerable to an even more entitled Iran, raising its profile and influence in Syria, Lebanon, Iraq and Bahrain (with its Shiite majority population). The Yemen air campaign and an allied task force is seen as empowering in pushing back Iran's bullying agenda. Saudi Arabia's ambassador to the United States, Adel al-Jubeir has stated that Hezbollah, the Lebanese militia recognized as terrorist proxies for the Islamic Republic of Iran, and currently fighting alongside Bashar al-Assad's military, are also actively fighting alongside the Houthis. The Saudi-led campaign has one goal, to protect Yemen's "legitimate government from a group that is allied and supported by Iran and Hezbollah". Forces loyal to Yemen's former leader, Ali Abdullah Saleh, are also targeted for air strikes. And an eventual ground force invasion. Riad Yassin, Yemen's foreign minister spoke of the air campaign, codenamed Operation Decisive Storm (derivative of the American Desert Storm invasion of Iraq), that has succeeded in preventing Houthi use of the weapons seized from the legitimate Yemeni military. Saudi fears of missile attacks against their cities neighbouring Yemen's borders are now relieved. And the airstrikes have also succeeded in halting Iran's supply line to the rebels. "This is a comprehensive operation and [any ground offensive] will depend on the calculation of the military", said Mr. Yassin of a campaign meant to continue until the Hoiuthi "withdraw and surrender their weapons" and a unified Yemen emerges, according to Mr. Elaraby. According to Saudi Brig. Gen. Ahmed bin Hasan Asiri, airstrikes have hit Houthi targets, including air defences ammunition depots and the heavy weapons and vehicles the rebels looted from government forces. As for the combined Arab League force proving their mettle; it will be interesting to see how they fare in ground combat given that apart from putting down an Shia insurrection in Bahrain in their version of the Arab Spring, few have combat experience and combat readiness. It would be a pity, since they've finally decided it is their responsibility to defend themselves in a combined pan-Arab unity move against projected aggression from Persia, were they to turn out as ineffective and pitifully useless as the African Union forces. But time will tell. "My guess is that on March 24th nothing will be done. Both the Iranians and Americans are pointing at the end of March, and my guess is that there will be enough agreement that they will be able to pull something together, but it will be very broad -- and even that's not certain." "You might see some additional cash flows around restricted Iranian assets ... but in my experience, you are not going to see any real relief on sanctions for at least six months after a deal is done." "A chance that we get a framework agreement or a 'political understanding' is high -- around 70%." "[Still significant gaps] Most importantly,U.S. sanctions relief, which Iranians demand upfront, and I just don't think the U.S. is going to go there." "[A deal] would place modest downward pressure on the oil price [but there] is a lot of geopolitical momentum on both sides to make it harder to walk back." "Iran could increase its oil production between 500,000 to 800,000 bpd within three to six months." "According to Iran's five-year plan, the country had to invest $255-billion in its energy industry from 2011-2015 [falling short due to international sanctions and a ban on foreign investment]." "The big problem is that there are multi-layered sanctions by multiple entities and you cannot just flip a switch and make them go away." "It's not hard to see how complex this spiderweb is." Well, that's the perspective from global money and oil markets, focusing only on the balance between oil availability and cost, and the release of international funds for investment purposes in one of the world's largest oil-producing countries now constrained in marketing its output and lacking needed release of foreign investments to upgrade its creaking infrastructure. That Tehran is a supporter of Islamist terror, and is itself a terrorist Islamist source is entirely irrelevant to the international money market; they too are constrained by virtue of sanctions. Neither Iran nor the international investment community are thrilled with those sanctions, interfering with the flow of oil and money. What happens in Syria, in Iraq, in Libya and in Yemen and Iran's role in the confrontation between the split Middle East in its sectarian conflicts is of little interest to those markets. Nor do they much care that the United States hardly knows in which direction to turn first in its entanglements, embarrassments and disappointments. They could ask an Iranian journalist, once influential in the campaign to elect the current Iranian president, now asking for political asylum in Switzerland his opinion. Amir Hossein Motaghi would tell them that his profession in Iran is a lost cause since he no longer wishes to write only what he is compelled to write, in reflection of the Ayatollahs' perspective on all things Iranian versus the international community. According to his testimony printed in the British Telegraph, the White House is frantic to persuade the other P5+1 members that all should accept Iran's point of view; not a difficult persuasion for China and Russia, but France and Britain might prove a problem. Germany is hugely dependent on Russia for its energy and wouldn't mind a more relaxed energy market, so it's kind of 50X50. "The U.S. negotiating team is mainly there to speak on Iran's behalf with other members of the 5+1 countries and convince them of a deal", he said. And he should know. And to obtain a more fully rounded perspective they could always confer with Israeli Prime Minister Benjamin Netanyahu who yesterday said "While [world powers] convene to sign this deal, Iran’s proxies in Yemen are conquering large swaths of land in an effort to overtake the Bab al-Mandab straits, so that they can change the balance of power in shipping oil". The European Union before the sanctions were imposed in 2012, imported 452,000 barrels per day of Iranian oil. Understandably, they are anxious to have those imports resumed, to aid them in their determination to wean themselves away from Russian energy importation. But it is Iran with the most to gain from an agreement, sitting on the world's fourth-largest crude oil and second-largest natural gas reserves. With, unfortunately, its foreign trade and oil exports maimed by sanctions targeting its financial services sector leaving its economy to contract almost 6% as oil revenues dwindled from $93-billion to $33-billion. Even China, India and Japan cut Iranian imports so that they languished last year at their lowest levels in decades. Should an agreement be reached, Iranian oil minister Bijan Namdar Zanganeh estimates a million barrels per day of Iranian crude could inter the market. Yet it is Iran itself, despite Secretary of State John Kerry's puppyish anxiety to placate and surrender one immovable position of the U.S. after another to please Iran's demands, that balks at delivering to President Barack Obama the 'success' he so bullishly seeks for his departure legacy. Iran's acceptance of the need to send a large portion of its uranium stockpile to Russia has taken a reverse step. Iran's deputy foreign minister surprised everyone by ruling out that agreement to surrender the stockpile that Iran spent years and billions to amass. Leaving Mr. Kerry with an undoubted headache of volcanic proportions, and challenging him to come up with some other ways to present to the international community the assurance that it doesn't really matter, and Iran can keep its enriched nuclear stockpile after all, and the solution to the problem is simply to give Iran whatever it insists upon and trust the word of the Ayatollahs that they have no interest in nuclear arms, as an honourable Islamic country of great humanitarian principles. "The export of stocks of enriched uranium is not in our program, and we do not intend sending them abroad. There is no question of sending the stocks abroad." The Saudis have done something unprecedented in putting together a military coalition to support Yemeni President Abd-Rabbu Mansour, seen here being greeted upon his arrival in Riyadh on March 26 by the Saudi Defense Minister, Prince Mohammad bin Salman. Saudi and Egypt in alliance: Half a century ago, Riyadh and Cairo were active in a Yemen war, but then they supported opposing sides, respectively the status-quo forces and the revolutionaries. 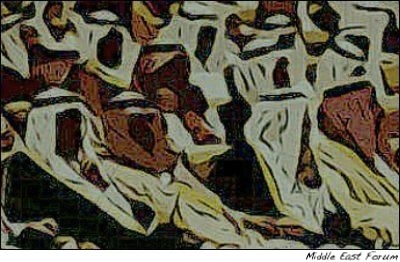 Their now being allies points to continuity in Saudia along with profound changes in Egypt. Arabic-speakers getting their act together: Through Israel's early decades, Arabs dreamt of uniting militarily against it but the realities of infighting and rivalries smashed every such hope. Even on the three occasions (1948-49, 1967, 1973) when they did join forces, they did so at cross-purposes and ineffectively. How striking, then that finally they should coalesce not against Israel but against Iran. Arab leaders have a long history of meeting but not cooperating. 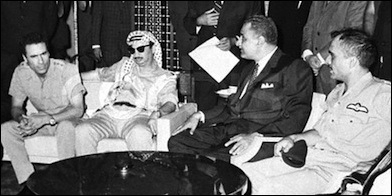 From the right: King Hussein of Jordan, Gamal Abdel Nasser of Egypt, Yasir Arafat of the PLO, and Muammar Qaddafi of Libya in September 1970. This implicitly points to their understanding that the Islamic Republic of Iran poses a real threat, whereas anti-Zionism amounts to mere indulgence. It also points to panic and the need to take action resulting from a stark American retreat. Yemen at the center of attention: Yemen played a peripheral role in the Bible, in the rise of Islam, and in modern times; it's never been the focus of world concern – until suddenly now. Yemen resembles other once-marginal countries – the Koreas, Cuba, the Vietnams, Afghanistan – which out of nowhere became the focus of global concern. The Middle East cold war went hot: The Iranian and Saudi regimes have headed dueling blocs for about a decade. They did combat as the U.S. and Soviet governments once did – via contending ideologies, espionage, aid, trade, and covert action. On March 26, that cold war went hot, where it's likely long to remain. Arab leaders understand that the Islamic Republic of Iran poses a real threat, whereas anti-Zionism is mere indulgence. Can the Saudi-led coalition win? Highly unlikely, as these are rookies taking on Iran's battle-hardened allies in a forbidding terrain. Islamists dominate: The leaders of both blocs share much: both aspire universally to apply the sacred law of Islam (the Shari'a), both despise infidels, and both turned faith into ideology. Their falling out confirms Islamism as the Middle East's only game, permitting its proponents the luxury to fight each other. The Turkey-Qatar-Muslim Brotherhood alliance in decline: A third alliance of Sunni revisionists somewhere between the Shi'i revolutionaries and the Sunni status-quotians has been active during recent years in many countries – Iraq, Syria, Egypt, Libya. But now, in part thanks to diplomacy initiated by the brand-new King Salman of Saudi Arabia, its members are gravitating toward their Sunni co-religionists. Isolated Iran: Yes, a belligerent Tehran now boasts of dominating four Arab capitals (Baghdad, Damascus, Beirut, Sana'a) but that's also its problem: abrupt Iranian gains have many in the region (including such previously friendly states as Pakistan and Sudan) fearing Iran. 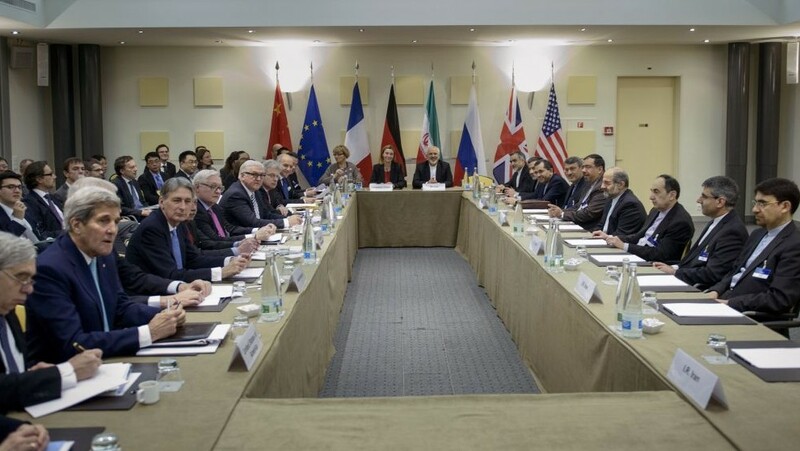 American diplomats meet again with their Iranian counterparts to capitulate on yet another difference. Sidelining the Arab-Israeli conflict: If the Obama administration and European leaders remain obsessed with Palestinians, seeing them as key to the region, regional players have far more urgent priorities. Not only does Israel hardly concern them but the Jewish state serves as a tacit auxiliary of the Saudi-led bloc. Does this change mark a long-term shift in Arab attitudes toward Israel? Probably not; when the Iran crisis fades, expect attention to return to the Palestinians and Israel, as it always does. American policy in disarray: Middle East hands rightly scoffed in 2009 when Barack Obama and his fellow naïfs expected that by leaving Iraq, smiling at Tehran, and trying harder at Arab-Israeli negotiations they would fix the region, permitting a "pivot" to East Asia. Instead, the incompetents squatting atop the U.S. government cannot keep up with fast-moving, adverse events, many of its own creation (anarchy in Libya, tensions with traditional allies, a more bellicose Iran). Impact on a deal with Iran: Although Washington has folded on many positions in negotiations with Iran and done the mullah's regime many favors (for example, not listing it or its Hizbullah ally as terrorist), it drew a line in Yemen, offering the anti-Iran coalition some support. 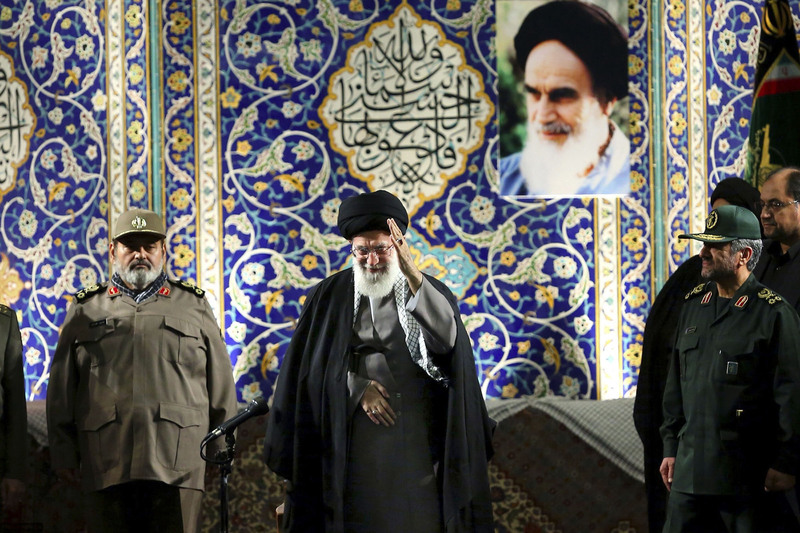 Will Iran's Supreme Leader Ali Khamene'i now stomp out of the talks? Highly unlikely, for the deal offered him is too sweet to turn down. In sum, Salman's skilled diplomacy and his readiness to use force in Yemen responds to the deadly combination of Arab anarchy, Iranian aggression, and Obama weakness in a way that will shape the region for years. 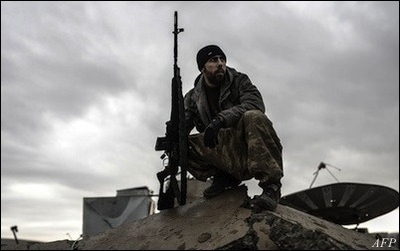 A Syrian Kurdish fighter stands guard atop the rubble of a liberated Kobani. Recently, I attempted to undertake a reporting trip into the Kurdish Kobani enclave in northern Syria. It would not have been my first visit to Syria or Kobani. For the first time, however, I found myself unable to enter. Instead, I spent a frustrating but, as it turns out, instructive four days waiting in the border town of Suruc in southeast Turkey before running out of time and going home. The episode was instructive because of what it indicated regarding the extent to which Kurdish control in the enclaves – established in mid-2012 – is now a fact acknowledged by all neighboring players, including the enemies of the Kurds. This in itself has larger lessons regarding US and western policy in Syria and Iraq. But, I am getting ahead of myself. First, let me complete the account of the episode on the border. My intention had been to enter Kobani "illegally" with the help of the Kurdish People's Protection Units (YPG) and local smugglers. This sounds more exciting than it is. I have entered Syria in a similar way half a dozen times over the past two years, to the extent that it has become a not very pleasant but mundane procedure. This time, however, something was different. I was placed in a local center with a number of other Westerners waiting to make the trip. Then, it seemed, we were forgotten. The Westerners themselves were an interesting bunch whose varied presence was an indication of the curious pattern by which the Syrian Kurdish cause has entered public awareness in the West. 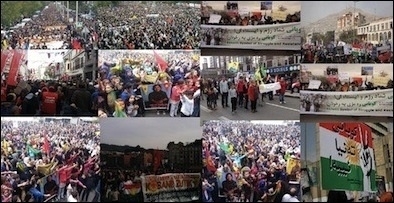 There was a group of European radical leftists, mainly Italians, who had come after being inspired by stories of the "Rojava revolution," the egalitarian, multi-ethnic mini-state run on communal lines forged out of the chaos of the Syrian civil war. A little noted element of the control by the Syrian franchise of the PKK (Kurdistan Workers' Party) of de facto sovereign areas of Syria has been the interest this has generated in the circles of the Western radical left. These circles are ever on the lookout for something that allows their politics to encounter reality in a way that does not bring immediate and obvious disaster. As of now, "Rojava," given the leftist credentials of the PKK, is playing this role. So, the Europeans in question wanted to "contribute" to what they called the "revolution." Leftists around the world have enthusiastically supported the Syrian Kurdish cause, but few who have arrived in Kobani have picked up a gun. Unfortunately, their preferred mode of support was leading to a situation of complete mutual bewilderment between themselves and the local Kurds. Offered military training by their hosts, the radical leftists demurred. They would not hold a gun for Rojava before they had seen it and been persuaded that it did indeed represent the peoples' revolution they hoped for. European leftists on the scene were more interested in popularizing alternative and naturopathic medicine than fighting. All this had elicited the predictable reaction from the Kurds who were trying to manage a humanitarian disaster and a determined attempt by murderous jihadis to destroy them. "Perhaps you could do the military training first and then we could talk about the other stuff?" suggested Fawzia, the nice and helpful representative of the Democratic Union Party (PYD), the political home of the YPG militia, who was responsible for us. This led to further impassioned and theatrical responses from the Italians. Apart from this crowd, there was a seasoned Chilean war reporter who looked on the leftists with impatience. He was hoping to get down to the frontlines south of Kobani where the YPG was trying to cut the road from Raqqa to Aleppo at an important point close to the Euphrates. Also, there was a polite and friendly lone American, a Baptist Christian, who had come to volunteer his services to the YPG. That was us. But, as the days passed, it became clear that none of us appeared to be getting anywhere near Kobani any time soon. The reasons given for the delay were plentiful, and unconvincing. "It is the weather," Fawzia would say vaguely, "too much mud." But, the presence of mud on the border in February was hardly a new development, so this couldn't be the reason. Finally, frustrated at the lack of information, I called a PKK friend based in Europe and asked for his help in finding out why we weren't moving. He got back to me a little later. "It seems the Turkish army is all over the border, more than usual. That's the reason," he told me. This was more plausible, if disappointing. After four days on the border, I was out of time and set off back for Gaziantep and then home. The Italians went to Diyarbakir in southeast Turkey to take part in a demonstration. The Chilean and the American volunteer stayed and waited. When I got back to Jerusalem, all rapidly became clear. Hundreds of Turkish troops entered Syria on February 21 to relocate the remains of Suleiman Shah, the grandfather of the Ottoman Empire's founder. News reports were coming in about a large operation conducted by the Turkish army through Kobani and into Syria. 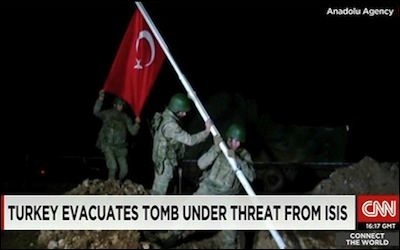 The operation involved the evacuation of the Turkish garrison at the tomb of Suleiman Shah, grandfather of the founder of the Ottoman Empire, south of the enclave. The American volunteer sent me a picture of the Turkish tanks on tank transporters driving though Suruc at the conclusion of the operation. This operation was astonishing on a number of levels. Despite stern Turkish denials, it could only have been carried out on the basis of full cooperation between the Turkish armed forces and the Kurdish fighters of the YPG in Kobani. Obviously, any unauthorized entry of Turkish troops into the Kurdish canton would have meant an armed battle. During the fight for Kobani last year, the Turkish government was very clearly quite content for the enclave to fall. The Turkish army waited on the border as the prospect of a generalized slaughter of the Kurds in Kobani came close to realization. The partnering of US air power with Kurdish YPG forces delivered the first real defeat to the Islamic State in Syria. But, of course, the slaughter didn't happen. In the end, the partnering of US air power with the competent and determined forces of the YPG on the ground delivered the first real defeat to the forces of the Islamic State in Syria. This effective partnering has continued, and has now become the main military element in northern Syria in the battle against IS. The combination of the YPG and the USAF is now nudging up to a second strategic achievement against the jihadis – namely, the cutting off of the road from Tel Hamis to the town of al-Houl on the Iraqi border. This road forms one of the main transport arteries linking IS conquests in Iraq to its heartland in the Syrian province of Raqqa. If the links are cut, the prospect opens for the splitting of the Islamic State into a series of disconnected enclaves. The YPG-US partnership is particularly noteworthy given that the YPG is neither more nor less than the Syrian representative of the PKK. The latter, meanwhile, is a veteran presence on the US and EU lists of terror organizations. Despite a faltering peace process, the PKK remains in conflict with Turkey, a member of NATO. But the reality of the Kurdish-US alliance in northern Syria has clearly now been accepted by the Turks as an unarguable fait accompli to the extent that they are now evidently willing to work together with the armed Syrian Kurds when their interests require it. The Kurdish-US alliance in northern Syria has been accepted by the Turks as an unarguable fait accompli. It is an astonishing turnabout in the fortunes of the Kurds of Syria who, before 2011, constituted one of the region's most brutally oppressed and most forgotten minority populations. This raises the question as to why this reversal of fortune has taken place. Why is the YPG the chosen partner of the Americans in northern Syria, just as the Kurdish Pesh Merga further east is one of the preferred partners on the ground in Iraq? The answer to this is clear, but not encouraging. It is because, in both countries, the only reliable, pro-Western and militarily effective element on the ground is that of the Kurds. Consider: In northern Syria, other than IS forces, there are three other elements of real military and political import. These are the forces of the Assad regime, the al-Qaida affiliated Jabhat al-Nusra and the YPG. In addition, there are a bewildering variety of disparate rebel battalions with loyalties ranging from Salafi Islamism to Muslim Brotherhood-style Islamism, to non-political opposition to the Assad regime. Some of these groups operate independently. Others are gathered in local alliances such as the Aleppo based Jabhat al-Shamiya (Levant Front), or the Syria-wide Islamic Front, which unites Salafi factions. In both Syria and Iraq, the only reliable, pro-Western and militarily effective element on the ground is that of the Kurds. Despite the reported existence of a US-staffed military operations room in Turkey, the latter two movements are either too weak, or too politically suspect (because of their Islamist nature), to form a potential partner for the US in northern Syria. Nusra is for obvious reasons not a potential partner for the US in the fight against IS and the US continues to hold to its stated goal that Bashar Assad should step down. So, the prospect of an overt alliance between the regime and the US against the Islamic State is not on the cards (despite the de facto American alliance with Assad's Iran-supported Shi'a Islamist allies in Iraq). This leaves the Kurds, and only the Kurds, to work with. And, the unstated alliance is sufficiently tight for it to begin to have effects also on Turkish-Kurdish relations in Syria, as seen in the Suleiman Shah operation. But what are the broader implications of this absence of any other coherent partner on the ground? The stark clarity of the northern Syria situation is replicated in all essentials in Iraq, though a more determined attempt by the US to deny this reality is under way in that country. In Iraq, there is a clear and stated enemy of the US (the Islamic State), a clear and stated Kurdish ally of the West (the Kurdish Regional Government and its Pesh Merga) and an Iran-supported government, which controls the capital and part of the territory of the country. Unlike in Syria, however, in Iraq, the US relates to the official government, mistakenly, as an ally. This is leading to a potentially disastrous situation whereby US air power is currently partnering with Iran-supported Shi'a militias against the Islamic State. In Iraq, powerful Shi'a militias have a presence in the Iraqi government, but do not answer to it. 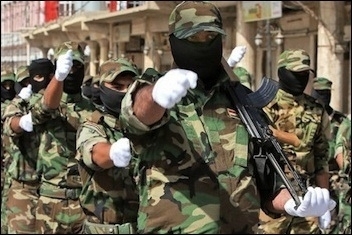 The most powerful of these militias have a presence in the government of Iraq. But they do not act under the orders of the elected Baghdad government, but rather in coordination with their sponsors in the Quds Force of the Iranian Revolutionary Guards Corps. It is possible that the current partnering with Shi'a Islamist forces in Iraq is the result of a general US attempt now underway to achieve a historic rapprochement with Iran, as suggested by Michael Doran in a recent essay. Or, it may be that this reality has emerged as a result of poor analysis of the realities of the Levant and Iraq, resulting in a confused and flailing policy. Either way, the result is an astonishing mess. In northern Syria, the obvious absence of any partners other than the Kurds has produced a momentary tactical clarity. But, as the larger example of Iraq shows, this clarity is buried in a much larger strategic confusion. This confusion, at root, derives from a failure to grasp what is taking place in Syria and Iraq. In both countries, the removal or weakening of powerful dictatorships has resulted in the emergence of conflict based on older, sub-state ethnic and sectarian identities. The strength and persistence of these identities is testimony to the profound failure of the states of Syria and Iraq to develop anything resembling a sustainable national identity. In both Syria and Iraq, the resultant conflict is essentially three-sided – Sunni Arabs, Shi'a/Alawi Arabs and Kurds are fighting over the ruins of the state. On the Sunni-Arab side, a bewildering tangle of support from different regional and Western states to various militias has emerged. But two main formations may be discerned. These are the Islamic State, which has no overt state sponsor, and Jabhat al-Nusra, which has close links to Qatar. In southern Syria, a Western attempt to maintain armed forces linked to conservative and Western-aligned Arab states (Jordan, Saudi Arabia) has proved somewhat more successful because of the close physical proximity of Jordan and the differing tribal and clan structures in this area when compared with the north. Even here, however, Nusra is a powerful presence, and IS itself recently appeared in the south Damascus area. The available partners for the West are minority nationalist projects like that of the Kurds and traditional, non-ideological conservative elites. The Kurds, because of the existence among them of a secular, pro-Western nationalist politics with real popular appeal, have unsurprisingly emerged as the only reliable partner. On both the Shi'a and Sunni sides, the strongest and prevailing forces are anti-Western. This reality is denied both by advocates for rapprochement with Iran and wishful-thinking supporters of the Syrian rebellion. But it remains so. What are its implications for Western policy? Firstly, if the goal is to degrade the Islamic State, reduce it, split it, impoverish it, this can probably be achieved through the alliance of US air power and Kurdish ground forces. But, if the desire, genuinely, is to destroy IS, this can only be achieved through the employment of Western boots on the ground. This is the choice that is presented by reality. Secondly, the desire to avoid this choice is leading to the disastrous partnering with Iraqi Shi'a forces loyal to Iran. The winner from all this will be, unsurprisingly, Iran. Neither Teheran nor its Shi'a militias are the moral superiors to the Islamic State. The partnering with them is absurd both from a political and ethical point of view. Thirdly, the determination to maintain the territorial integrity of "Syria" and "Iraq" is one of the midwives of the current confusion. Were it to be acknowledged that Humpty Dumpty cannot be put it back together again, it would then be possible to accurately ascertain which local players the West can partner with, and which it can not. As of now, the determination to consider these areas as coherent states is leading to absurdities, including the failure by the US to directly arm the pro-US Pesh Merga because the pro-Iranians in Baghdad object to this; the failure to revive relations with and directly supply Iraqi Sunni tribal elements in IS-controlled areas for the same reason, and the insistence on relating to all forces ostensibly acting on behalf of Baghdad as legitimate. Ultimately, the mess in the former Syria and Iraq derives from a very Western form of wishful thinking that is common to various sides of the debate in the West. This is the refusal to accept that political Islam, of both Shi'a and Sunni varieties, has an unparalleled power of political mobilization among Arab populations in the Middle East at the present time, and that political Islam is a genuinely anti-Western force with genuinely murderous intentions. For as long as that stark reality is denied, Western policy will resemble our Italian leftist friends on the border – baffled and bewildered as they go about proposing ideas and notions utterly alien to and irrelevant to the local situation. The reality of this situation means that the available partners for the West are minority nationalist projects such as that of the Kurds (or the Jews) and traditional, non-ideological conservative elites – such as the Egyptian military, the Hashemite monarchs and, in a more partial and problematic way, the Gulf monarchs. Attempts to move beyond this limited but considerable array of potential allies will result in the strengthening of destructive, anti-Western Islamist forces in the region of either Sunni or Shi'a coloration. As for the Syrian Kurds, they deserve their partnership with US air power and the greater security it is bringing them. The American Baptist volunteer, to conclude the story, made it across the border and is now training with the YPG. He, at least, has a clear sense of who is who in the Middle East. Hopefully, this sense will eventually percolate up to the policymaking community, too. Turkey and Qatar, both supporters of the Muslim Brotherhood, earning the enmity of Egypt, have chosen to join the Saudi-led coalition of Arab states against the Houthi rebellion in Yemen to restore the democratically elected Sunni president of Yemen to full authority, against the claims of the Yemen-Arab-Spring removal of its Shiite president who ruled for 40 years as a dictator. When Mohammad Morsi was elected president of Egypt after the downfall of long-time dictator Hosni Mubarak, Egypt, under the Muslim Brotherhood, moved to reclaim relations with the Islamic Republic of Iran. When General Abdel Fatah al-Sisi became the popularly-acclaimed President of Egypt after the unseating of Mohammad Morsi and the forced decline of the Muslim Brotherhood, the restoration of diplomatic relations with Iran was once again sundered. Egypt, suffering the outcome of severe economic decline resulting from its revolutionary turmoil, found a saviour in Saudi Arabia which began making up the shortfall in financial support withheld by the Obama administration which supported the Muslim Brotherhood and diligently worked to prevent President al-Sisi from attaining power. What a tangled web of suspicion, animosity, conflict and intrigue describes the Middle East. The constant meddling of Western interests advanced by oil concerns further complicated and continues to complicate a region forever on the brink of disruptive reaction to sectarian hostilities. The one common goal of all the Islamic nations, however remains a constant; the irritating presence of a Jewish State upon land theirs by heritage and ancestry and universally-approved UN legal right, but representing to Muslims an insult to Islam with its dictum that land once consecrated to Islam must remain so in perpetuity. The one constant in the last half-century and more of the Middle East has been the settling/unsettling effect of the United States. In pursuing its own interests that the geography remain stable and not interfere with America's major source of energy supplies, successive American governments made mutually useful agreements with the dictators of Arab Muslim countries, buying their oil, stabilizing the political situation between its traditional allies as a benefactor and guarantor of security through the threat of physical intervention and the sale of military arms. At one and the same time, those tyrants and oil sheiks and monarchs resented the sway and power of the United States, even while they were dependent on them. Their dependency came to a screeching panic when the U.S. suddenly turned on its usual axis to ally itself with their enemies, those attempting to unseat the traditional Middle East rulers, abandoning Hosni Mubarak and embracing Mohammad Morsi, cajoling Iran to come to a negotiating table over its feared nuclear technology, and acceding to Russia over Syria. Finally, it seems, after prolonged American inaction in the face of a Middle East reeling from the effects of Iranian hegemonic actions to upend Sunni rule, favouring Shiite governance of countries conventionally controlled by the sect most prevalent as rulers, those countries of the Middle East facing the growing strength of Iranian power and command have decided to ally themselves to counteract the advances that Iran has made in Lebanon with its proxy Hezbollah disabling the country, in Syria supporting its murderous Alawite ally, in Iraq where a giant billboard of Ayatollah Ruhollah Khomeni has taken pride of place where the statue of Saddam Hussein once stood, and in Yemen where the Houthi Shiites have displaced the Sunni president. 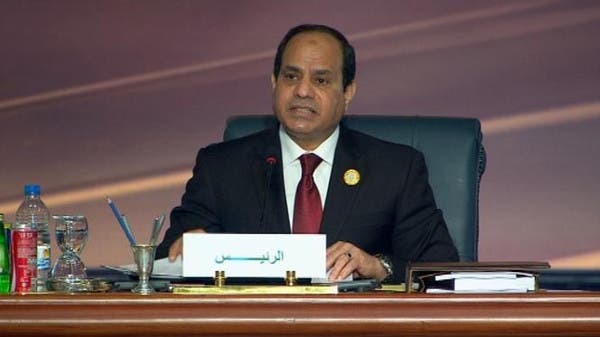 A summit of Arab leaders meeting in the Red Sea resort of Sharm el-Sheikh was treated to calls by Egypt's president for a joint Arab military force even while Egypt, Saudi Arabia and the Gulf States launch their airstrikes in Yemen. President al-Sisi whose courage in speaking publicly at Egypt's Al-Azhar University in Cairo, against militant Islamism and the terrorist forces it has created now exhorts his Arab colleagues to join in the battle against the renascent Persian Empire and its use of terror to achieve its ends to stand in command of the Middle East. 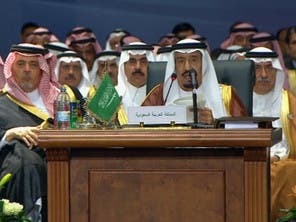 Calling for "a unified Arab force" to confront the security threats to the region, he spoke of the need to respond to the religious rhetoric of extremism. The brutal murders of Egyptian Copts in Libya by ISIS jihadis had him emphasizing the need to extirpate ISIS from the Middle East. He spoke of the "imperative" that Egypt support the Saudi-led coalition in response to Iran's move to bring it into its Shiite-dominated fold. The coalition airstrikes now hitting the impoverished nation whose legitimate president was forced to flee represented the Sunni response to a Shiite Iranian ambition. Yemen's President Abdrabbo Mansour Hadi, now in exile in Saudi Arabia, is dependent on the outcome of the Saudi-led military intervention. An event whose time has finally come; the determination of the allied Arab Sunni majority to confront and push back the ambitions of the Iranian-led sectarian ambush of Sunni controlling interests. Allied Arab armies last marched, and did so repeatedly, on the State of Israel, to destroy its presence in the Middle East. Each time that mission failed, spectacularly. This time, however, perhaps the sects are well matched; certainly in their loathing for one another. Iran took little time to respond to the bombing begun on Thursday and carried on through Friday. Dispatching al-Quds Major-General Qassem Soleimani to Yemen, from his vital work on behalf of the Iranian Republican Guard in Syria and Iraq, to oversee the Houthi and those Yemeni military units remaining loyal to former president Ali Abdullah Saleh, it appears as though a formal conflict between the sects is imminent. Saudi Arabia's King Salman spoke of the military intervention his country is leading against Shiite rebels in Yemen as a priority whose purpose is to bring "security" to the Yemeni people.The campaign, he stressed, "will continue until it achieves its goals for the Yemeni people to enjoy security." 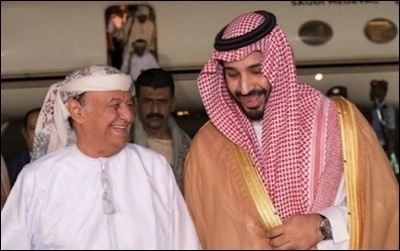 And nor was Kuwaiti Emir Sabah al-Ahmad al-Jaber al-Sabah silent, informing Arab leaders that the Houthi militia in Yemen, sponsored by Iran, pose a regional threat. "Rapid developments underway in Yemen pose a threat to our security", and they had a right to defence. And finally, even while the U.S.-led coalition in Iraq and Syria continue their air strikes against the Islamic State, by default benefiting Iran, Syria and Hezbollah in the process by weakening the Sunni terrorist groups assembled against the tyrannical, murdering reign of Syria's Bashar al-Assad, the bizarre politics of the Middle East has the United States sufficiently bollixed that it is giving intelligence aid to the Saudi-led coalition conducting air strikes in Yemen. Tehran took less than 48 hours for a decision to hit back at the surprise air and naval attack launched by Saudi Arabia, he Gulf and Egypt Thursday, March 26, to contain the Iranian-backed Houthi rebels’ sweep through Yemeni cities. debkafile’s military sources report that Iran’s top war commander, Al Qods Brigades chief Gen. Qassem Soleimani, landed in the Yemeni capital Sanaa Friday, March 27 to organize a counter-offensive and open Iran’s third direct Middle East warfront after Syria (in support of Bashar Assad) and Iraq (with the US against ISIS). The Saudi-GCC-Egyptian intervention found the pro-Iranian Houthi rebels at the gates of the big port of Aden, which commands the Straits of Bab el-Mandeb, the vital gateway for oil shipping between the Indian Ocean and Gulf through the Suez Canal and Mediterranean. Certain Yemeni army units have joined the rebels. They are armed with advanced US weapons that were supplied for the war on al Qaeda and now serve the revolt against a Yemeni regime recognized by Washington. 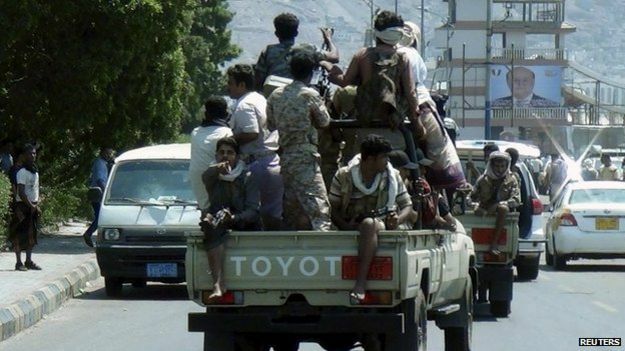 This rebel force had already seized most of Yemen’s cities and stretches of its Red Sea coast. Soleimani’s arrival in Sanaa signaled Tehran’s determination not to give up an inch of the ground gained by its proxies, while underscoring its demand for dominance as the leading Middle East power, promised by Washington in return for accepting a framework deal on its nuclear program. US officials persist in their public pretense that the diplomatic and the military arenas are unconnected. So the deal is presented as close to signing by the March 31 deadline, while the flames of Shiite-Sunni violence are allowed to spread into another corner of the Middle East. In the coming hours, Egyptian and Saudi naval and marine forces are planning landings in Aden, according to their military sources. They will fight to contain the Houthi march across Yemen and prevent the fall of its last major town, after two days of Saudi and Gulf air strikes against rebel positions around Yemen. debkafile’s military sources report that the Saudi and Gulf air forces and Egyptian sea units managed in their first 48 hours to cut off Iran’s air and sea supplies to the Houthi rebels. Gen. Soleimeni will need to find a means of breaking the Saudi-Egyptian blockade and restoring supply routes. Above all, he must determine whether or not to co-opt Iranian air and sea forces to the Yemeni front and so leading them into head-to-head battle against Saudi Arabia and its ten Sunni allies. Egyptian and Iranian warships maneuvering for control of the Strait of Bab el-Mandeb were reported to have clashed Thursday, the first day of the Sunni intervention in the Yemen conflict. From outside the region, Pakistan stands ready to step into the contest, promising Friday “a strong response” to any threat to “Saudi integrity.” This opened the door for the Pakistani army to be drawn into the wars of Arabia against Iran alongside the majority of Arab Sunni nations. Islamabad was responding to a Houthi warning to invade the southern Saudi provinces of Asir, Najran and Jizan, for which they counted on a welcome by the local Saudi populations, most of which belong to the minority Ismaili sect, that is closer to the Iranian Shiite and Houthi Zaydi than to the dominant Sunni faith of the Saudi royal regime. Friday night, President Barack Obama spoke with Saudi King Salman and reaffirmed US support for the military action taken in Yemen by Saudi Arabia and its Gulf Arab allies, the White House said in a statement. Obama and King Salman agreed that their goal is to achieve lasting stability in Yemen through a negotiated political solution, the statement said. Obama also underscored his commitment to Saudi Arabia's security. Saudi Arabia on Thursday surprised Yemen with its coalition of Sunni countries finally gathering the resolve to meet the Islamic Republic of Iran at its own game. Saudi warplanes along with those of the Egyptian airforce bombed key military installations in a campaign against the Yemen Houthis whom Iran has supported and urged to take over much of the country, driving out its Sunni president who has now taken shelter in Saudi Arabia. Saudi Arabia and its Sunni allies finally using their combined military strength and the costly weaponry their oil fortunes have assembled, to push back against the hegemonic plans of Iran. Where the combined Sunni Middle East strength was never fully tested as Syria fell into chaotic ruin and Syrian Sunnis in their millions were disenfranchised, Iran has clearly gone an extra step too far on Saudi Arabia's border, with Yemen. 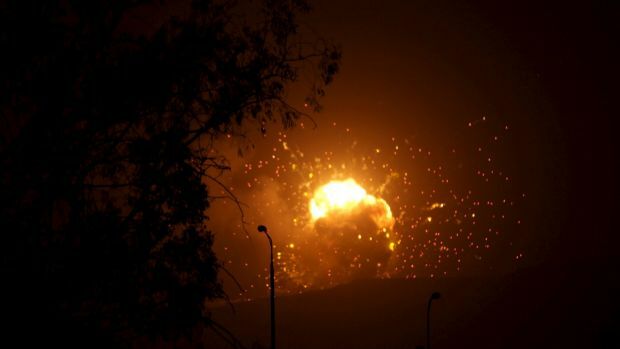 And nor this time around will Saudi Arabia and Egypt be satisfied with mere air attacks, which they continued in the evening on Thursday and on into Friday. Planned ground assaults by Egyptian, Saudi and other forces, once air strikes have sufficiently weakened the rebel capabilities and military forces supporting former president Ali Abdullah Saleh, are to follow. Sanaa and three other provinces have been barraged. Rebel Houthi leader, Abdul-Malik al-Houthi, took to television to condemn the United States, Saudi Arabia and Israel of a "criminal, unjust, brutal and sinful" campaign targeting the invasion and occupation of Yemen. "Yemenis won't accept such humiliation", he railed, unburdening himself of the opinion of Saudi Arabia as "stupid" and "evil". Sufficiently descriptive words to quantify his rage appear to have failed him. But stupid and evil will do; it does describe the unseating of a democratically elected president of Yemen. "[Iran] considers this action a dangerous step. This invasion will bear no result but expansion of terrorism and extremism throughout the whole region", condemned Iranian Foreign Ministry spokeswoman Marzieh Afkham. The United States did contribute in part, with intelligence briefings, but no active part in the attack on Yemen against the Houthis. So here is the U.S., fortifying its traditional relations with Saudi Arabia and in so doing, in active conflict against Iranian interests. While in Iraq and in Syria, in airstrikes against the Islamic State within their newly-minted caliphate, indirect aid is being given to Iran and to Syria, through U.S. involved airstrikes, enabling Iran to consolidate its control over Syria, Iraq, Lebanon, but being stalled in Yemen. While al-Qaeda in the Arabian Peninsula is also taking advantage of the contorted sectarian conflicts to further its own interests in securing additional towns for itself in Yemen, while attention is directed elsewhere. Now, the intention is to strike where Houthi leader Abdul-Malik al-Houthi might be found, according to military officials. The al-Sana army camp northeast of Sanaa operated by commanders loyal to former President Saleh have also been targeted. Additional camps outside Sanaa in al-Dhale and Lahj provinces have been struck. The al-Annad base where U.S. military advisers were based was also struck in the absence of those advisers, pulled out last week with deteriorating security concerns. "Operation Decisive Storm" has seen Saudi Arabia deploying 100 fighter jets, 150,000 soldiers and navy units, reported Al-Arabiya TV. Aircraft from the United Arab Emirates, Bahrain, Qatar, Kuwait, Jordan, Morocco, Sudan and Egypt were also involved, but which of them actively carried out strikes is unclear as yet. The ground assault will be represented by Saudi Arabia, and through landings on Yemen's coasts along the Red and Arabian seas, according to Egyptian military and security officials. While there are concerns of a larger regional conflict erupting out of the latest episodes in these most recent of Middle East eruptions, it is instructive indeed to witness even remotely that the Sunni powers in the Middle East are capable of finally assigning themselves the responsibility to react as they must, to threats emanating from their very midst, rather than sitting back awaiting a response from the West and the U.S. in particular. And so, the proxy war between Saudi Arabia and the Islamic Republic of Iran proceeds. "This is the biggest issue facing the world today in my view, I think in the view of our prime minister, and our team." "Yes, there is terrorism. Vladimir Putin is behaving like a terrorist." "But the buck stops in Ukraine; there is absolutely no scenario going into the future that leads to peace and security for this world, that leads to prosperity in Europe globally that does not include a full international effort to give Ukraine the tools it needs to drive Russian forces from their borders and to secure its borders for good." CP/Adrian Wyld, AP/Pavel Golovkin Immigration Minister Chris Alexander's February speech sparked a diplomatic tiff with the Russian embassy. Well, the speech was, after all, geared to his audience, of Ukrainian Canadians. Yes, there is immediate urgency in the volatile and deadly events unfolding in the Middle East, where the lives of hundreds of thousands of people have been lost in Syria, in Iraq, in the iniquitous blood-letting atrocity-laden murder-sprees of both the Syrian Baathist regime and Islamic State of Iraq and al-Sham. But there is also Russia's aggression in Ukraine, and its support of Syria and of Iran. Mr. Alexander did give the conflicts in Syria and Iraq their due, but his ire on this occasion, for this special audience, was reserved for Russia, and its President; Vladimir Putin, in particular. His words did not go unnoticed, all the more so since a video of his speech surfaced on the Internet and the Russian Embassy in Ottawa decided to respond. The YouTube video got an answer on Twitter: "Sounds like Orwellian 'five minutes of hate'. Hardly the artwork of diplomacy", tweeted the Russian embassy. Touche...! And it isn't only Canada versus Russia that has surface of late. Britain, with its hate-on for Russian skulduggery in assassinations on British soil, has London and Moscow cat-calling one another, and this time Moscow has a point; focusing on Argentina's claim to the Malvinas, which colonial Britain that taken as its own Falklands, installing Britons to make it their home, and fighting wars with Argentina over its possession; refusing to take part in a diplomatic mission to agree to a resolution to the impasse. Britain has decided to beef up its military presence in the Falklands much to Argentina's alarm and discomfort. In response to Russia's cozying up to Argentina, following the Iranian lead, one supposes. Both have been ostracized of late; Iran for its nuclear ambitions, Russia for its hegemonic aggression of Ukraine, and the sanctions that have been imposed on each have gone far in biting their economies, so they're looking where they can for 'economies' that will aid them in accommodating themselves to their new realities. Said David Cameron: "The assurance that I can give the Falkland Islands is that we will always be there for them, we will always defend them." They are all of British heritage, after all, so far from home, rubbing cheeks with Argentina geographically, since logically it should be an Argentinian possession, as the country claims. Since they're all British-speakers, and they voted overwhelmingly in a referendum to remain British, seeking Britain's aid in fending off Argentinian overtures, there's a certain resemblance there to Moscow claiming it cannot ignore the pleas of Russian speakers in Ukraine. Britain condemns the Crimean annexation, and sneeringly speaks of the referendum that took place there giving moral authorization, as Moscow claims, for that annexation, as a "fig leaf" for Putin's "land grab". The Russian embassy in Britain had this to say: "In its rhetoric Foreign Office applies one logic to the referendum in the Maldives/Falklands, and a different one to the case of Crimea". And truth to tell, they've got a case in point there. An internationally beleaguered Russia is pushing back. For weeks pro-Kremlin news sources and Russian members of the Duma have been denouncing as pure hypocrisy Britain's "colonial occupation" of the Islands, the "Crimea of the Atlantic", while Alexei Pushkov, head of the committee of international affairs in the Duma has written on Twitter: "Information for London: Crimea has immeasurably more reason to be a part of Russia than the Falkland Islands to be part of the U.K."
Ouch! But ain't it the unvarnished truth?! "The Malvinas has always belonged to Argentina, the same way that Crimea also belonged to the Soviet Union until it was given to Ukraine."